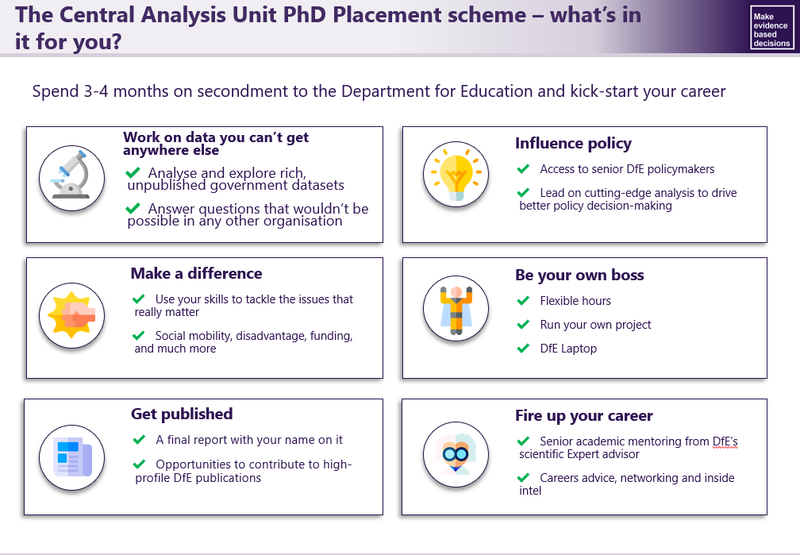 The Department for Education would like to host PhD students in their Data Science Lab for 3-4 month placements. Which schools have the happiest pupils? Visualise the pathways that disadvantaged groups take through education and employment. 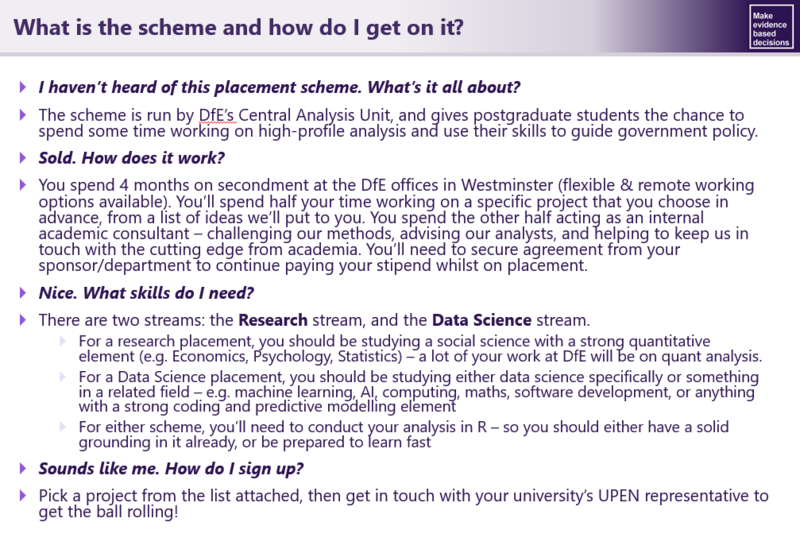 CVs will be collated and sent to DfE on the 8th May, for DFE to consider/decide. At that point, they may wish to hold brief telephone discussions/interviews with interested candidates. Note: the successful secondees will have to have security clearance, which usually takes at least 8 weeks. If a decision is made in mid-May, the earliest time for the secondment to start might be mid-July, but could well be later. 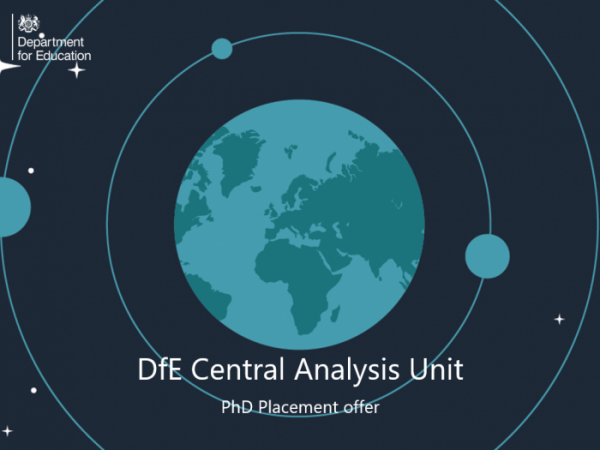 We think that DFE will have an ongoing need and interest in PhD placements beyond this first wave, particularly if this first effort is successful. You may want to bear this in mind if you may be interested but can’t respond to this call.